Yesterday, Prime Minister, Malcolm Turnbull, announced a new $18.6bn school funding package. More than 9,000 Australian schools will see a year-on-year increase in funding, and on average per-student funding will grow 4.1% a year over a decade. According to the Federal Government’s briefing notes, funding for NSW public schools is set to grow by 4.9% over the next four years, 3.8% for Catholic schools and 3.9% for private schools. As expected, dozens of wealthy private schools are likely to lose out when the funding plan is implemented, with a further 353 schools worse off as they transition to their appropriate resourcing standard over the next decade. Speaking to the Seven Network today, Turnbull said those impacted could include eight Catholic schools in NSW, Victoria and the ACT. While the Federal Government is refusing to publicly state which schools will lose funding, an analysis earlier this year revealed the schools receiving taxpayer money above their entitlements. Among them were Sydney Girls’ School, Loreto Kirribilli, Hawkesbury Independent School and Melbourne Grammar School. NSW public schools are currently funded at 86% of their entitlements overall and Victorian public schools at 83%. ACT public schools received 114% of their SRS, making them over-funded overall, while WA schools received 99.7%. Meanwhile, Victorian Education Minister, James Merlino, has warned that his state’s schools will be $630m worse off under the Federal Government’s funding plan. “It's extraordinary that on the same day we confirmed we will meet our Gonski obligations for 2018, the Turnbull government makes an announcement that still leaves a massive shortfall of $630m against the Gonski agreement,” he said. The ACT's Catholic education office said will consider closing schools, increasing fees or expanding class sizes in response to any funding cuts. However, Birmingham denied Catholic schools would be worse off, saying funding had grown 3.7% per-student under the proposed model. The reaction to the new funding plan from independent school bodies, such as the Association of Heads of Independent Schools of Australia (AHISA) and the Independent Schools Council of Australia (ISCA), has been largely positive. “We commend the willingness of the Federal Minister for Education to open up policy dialogue in this way,” said AHISA CEO, Beth Blackwood, in a statement today. 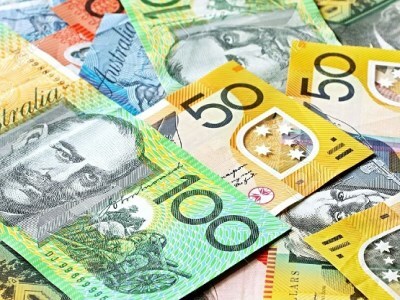 The Australian Primary Principals Association, (APPA) Australian Council of State School Organisations (ACSSO) and Independent Schools Queensland (ISQ) have also voiced their support for the new funding plan.